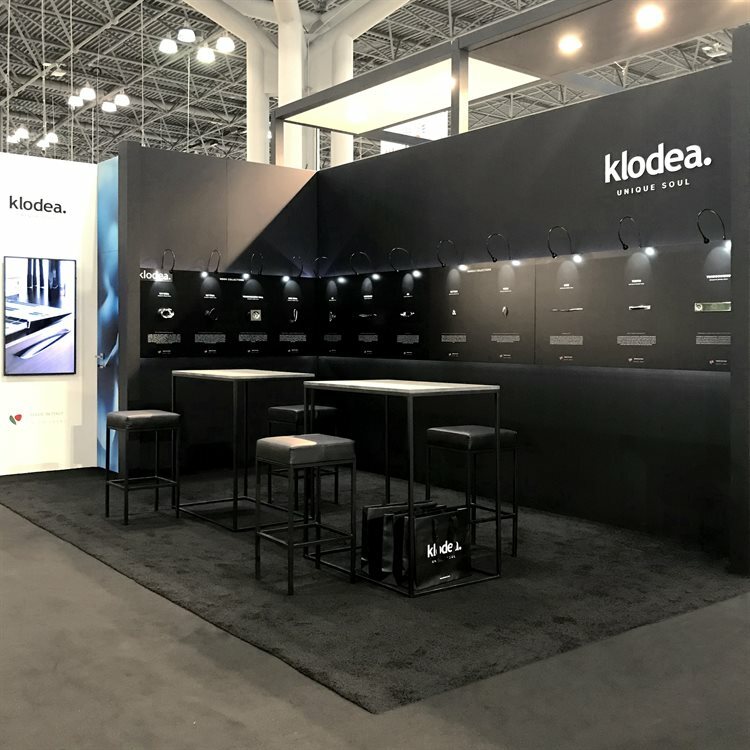 Klodea exhibited for the first time at the 2018 edition of High End Luxury Furniture Fair with its collections of luxury furnishing accessories. The booth was designed with a minimalistic and elegant look to represent the brand’s image and spotlight the refined products, adding a touch of innovation. Each collection tells its own story as piece of art, a combination between high-design, attention to details, quality and innovation.It was an occasion for visitors from all over the world to appreciate the exquisite beauty of the pieces and also recognize the unique elegance of the lines and the attention to the smallest detail.